For some reason I’ve been thinking about trust a lot lately and how important it is. I’ve always found it hard to trust until I realized what Hemingway says above, the only way to find out if someone is trustworthy is to trust them. 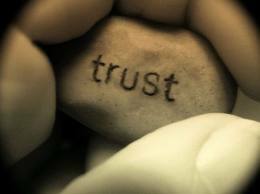 To be trusted is such a compliment and it takes trusting others to be trusted. Interesting to think about huh?